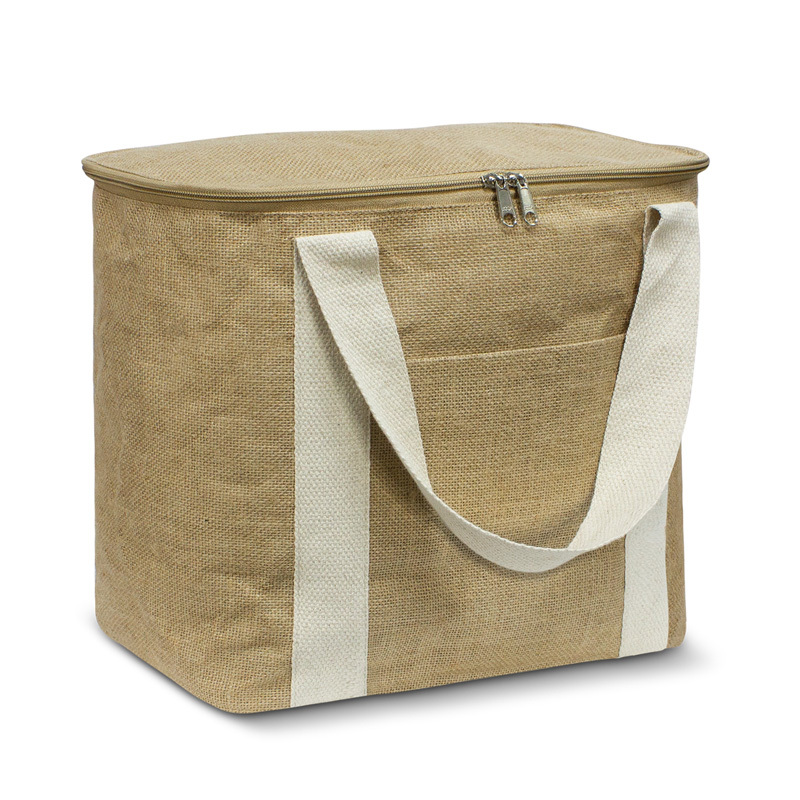 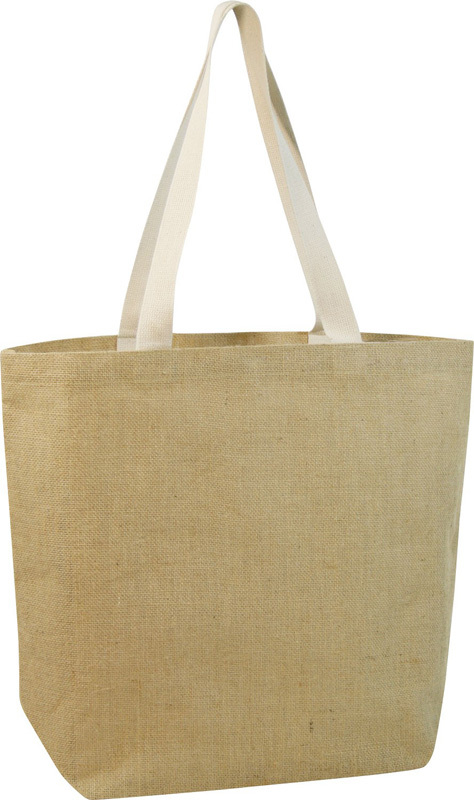 Jute is a rough, natural vegetable fibre that many people are turning to as an environmentally friendly alternative to plastic and other manmade materials. 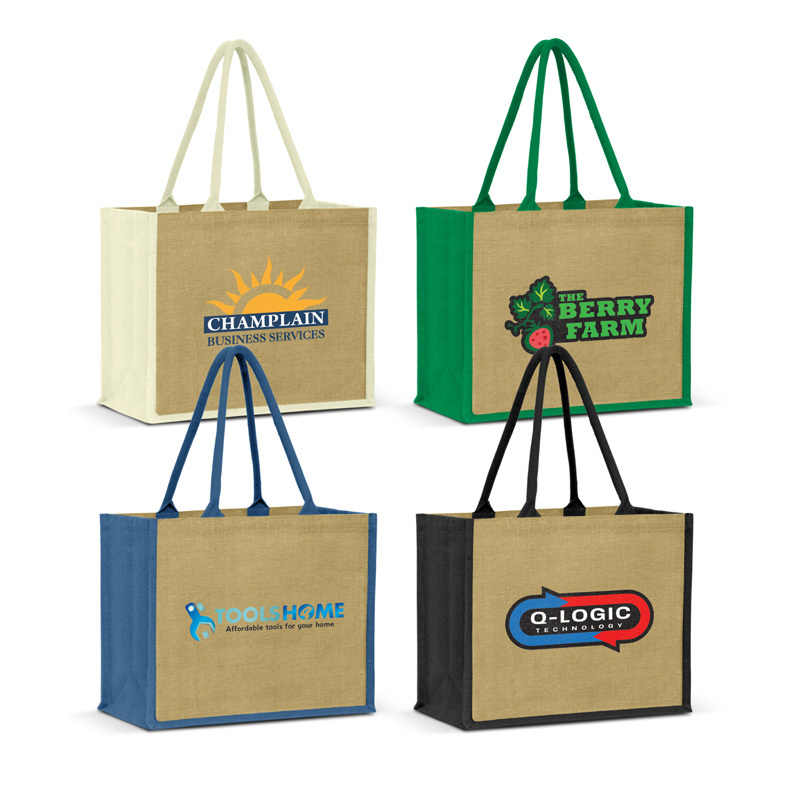 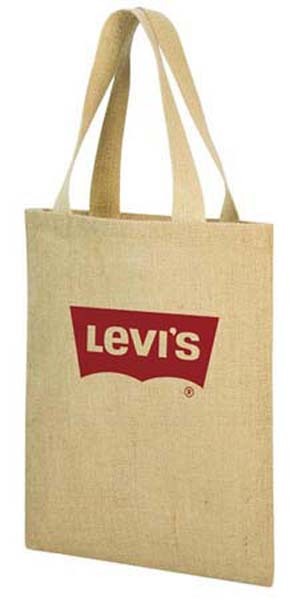 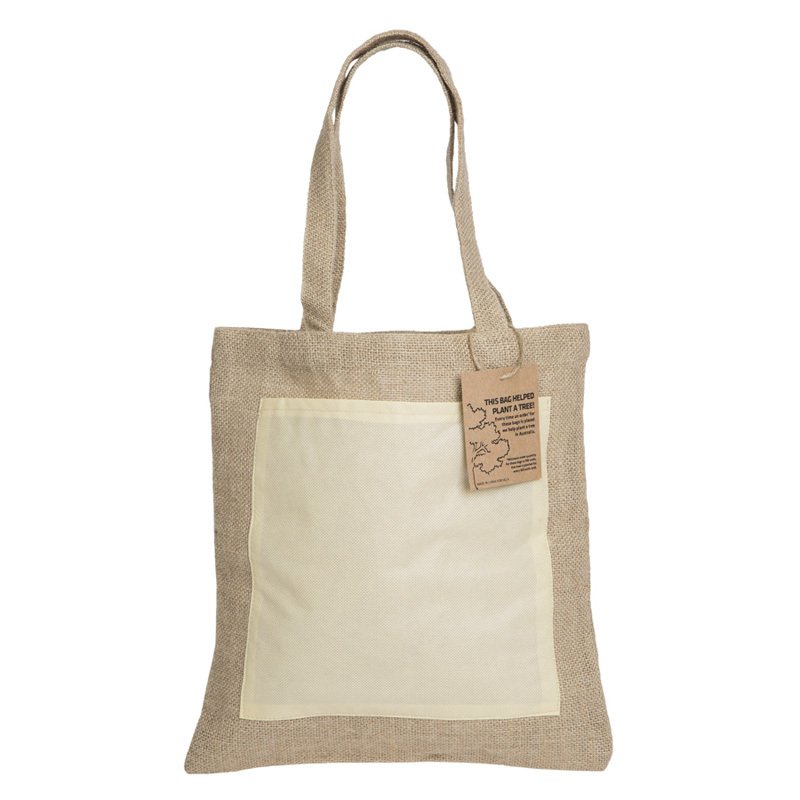 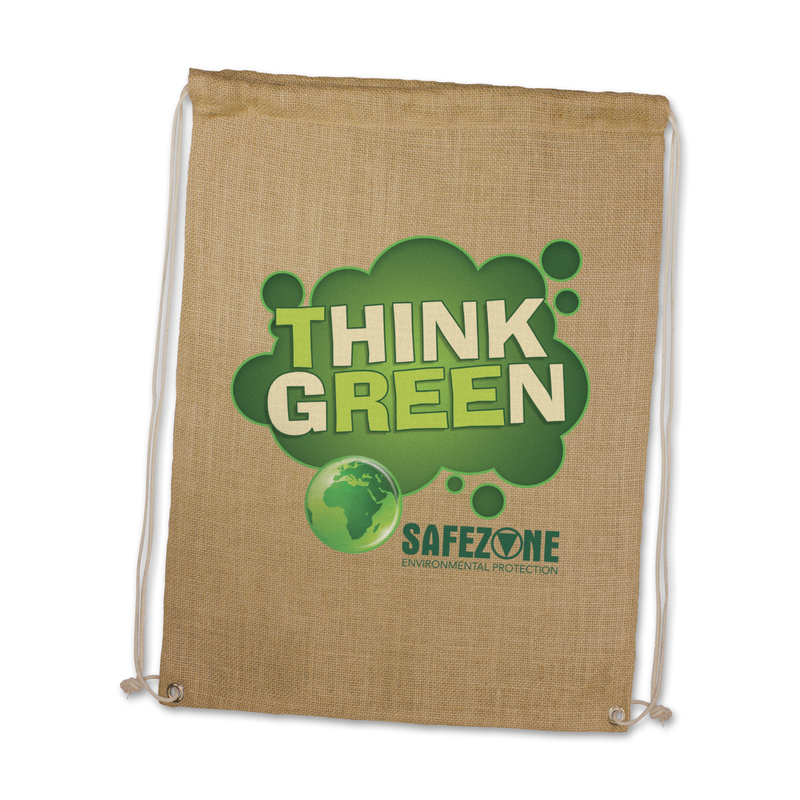 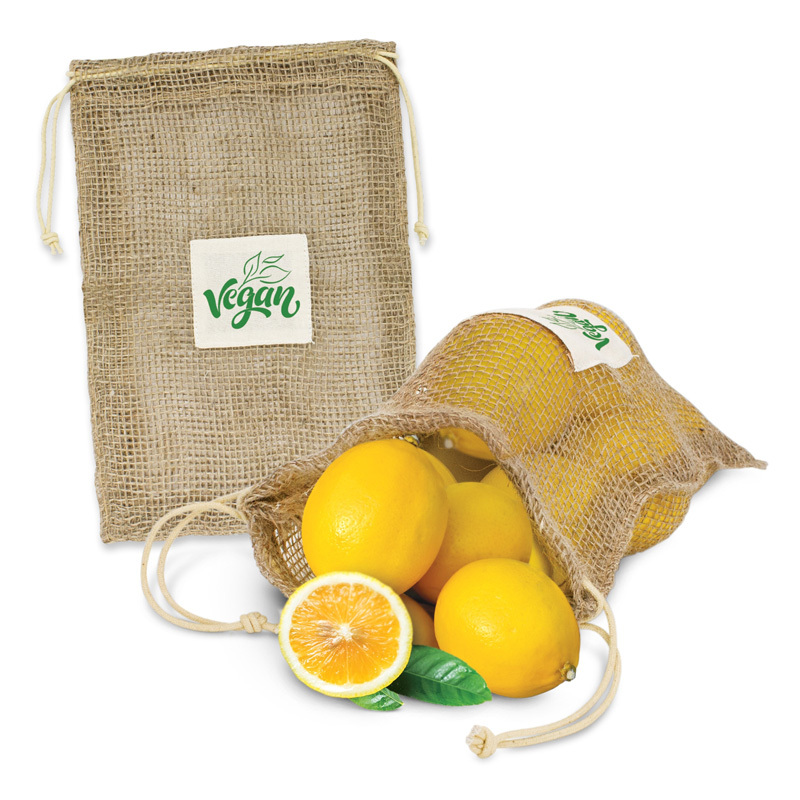 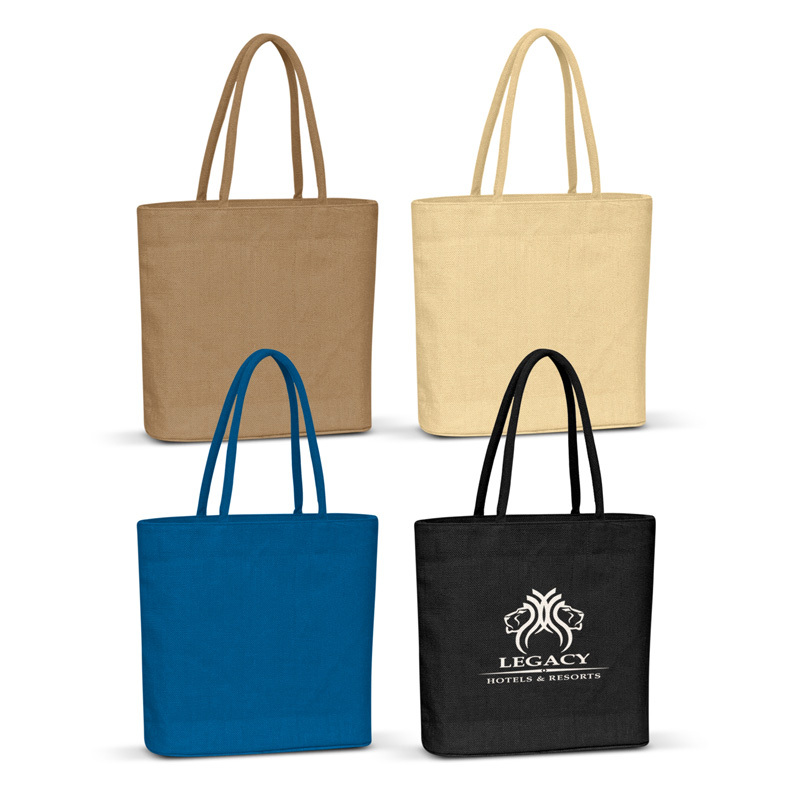 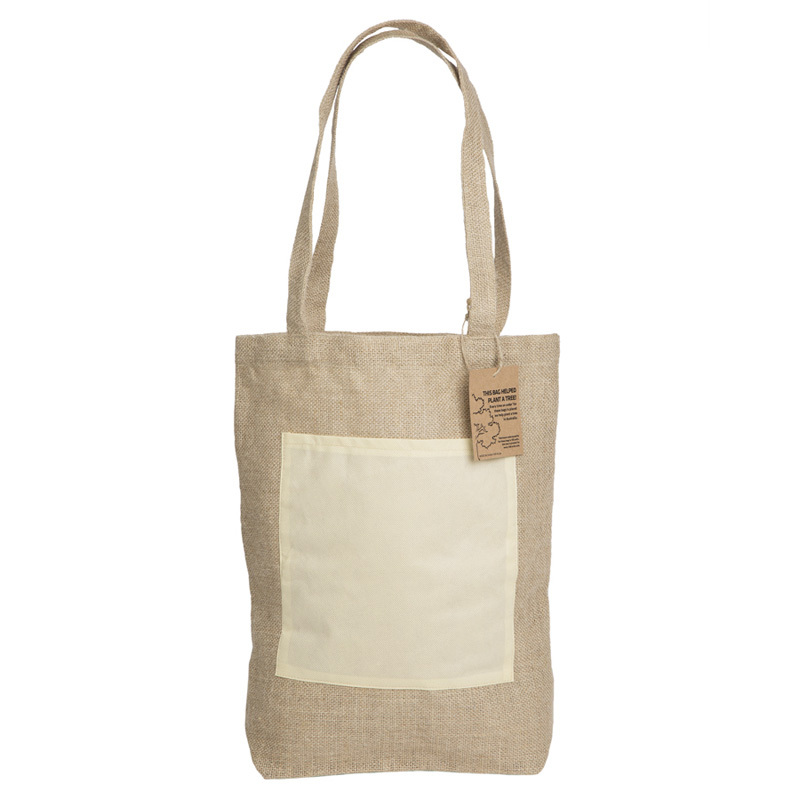 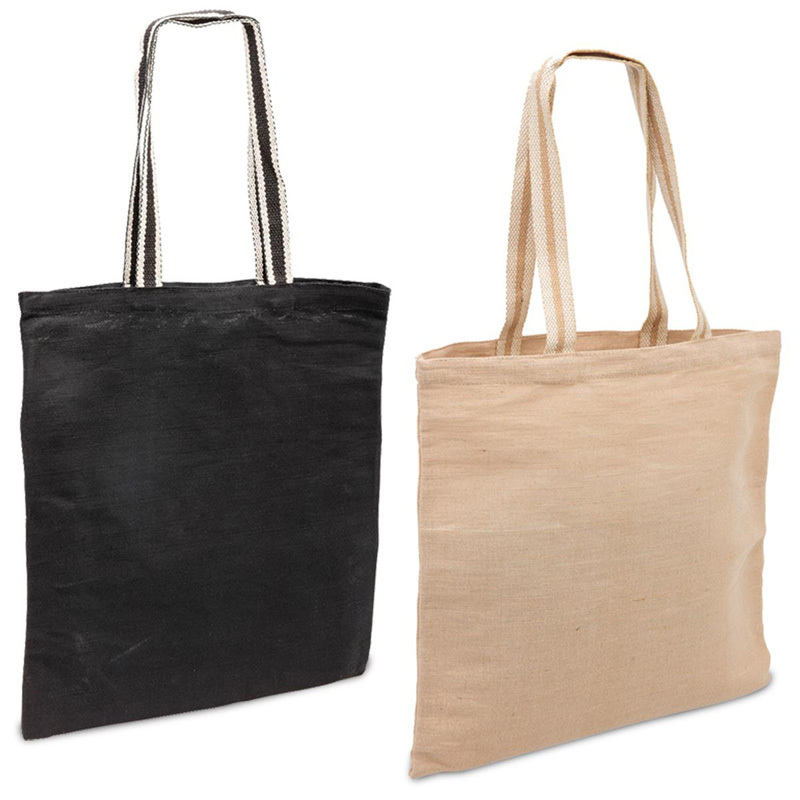 If you are committed to minimising the impact that you have on the environment, promotional jute bags could be the solution for you. 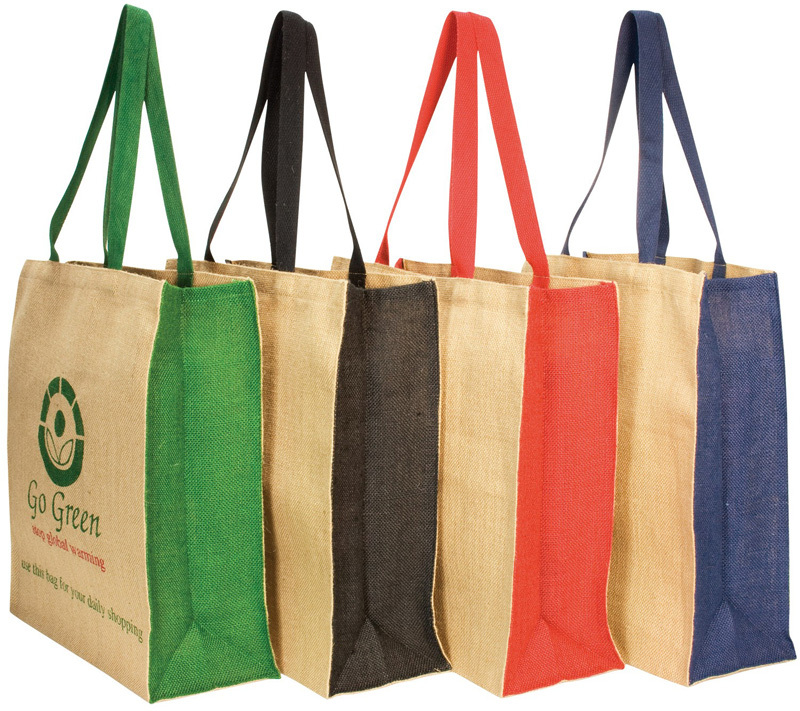 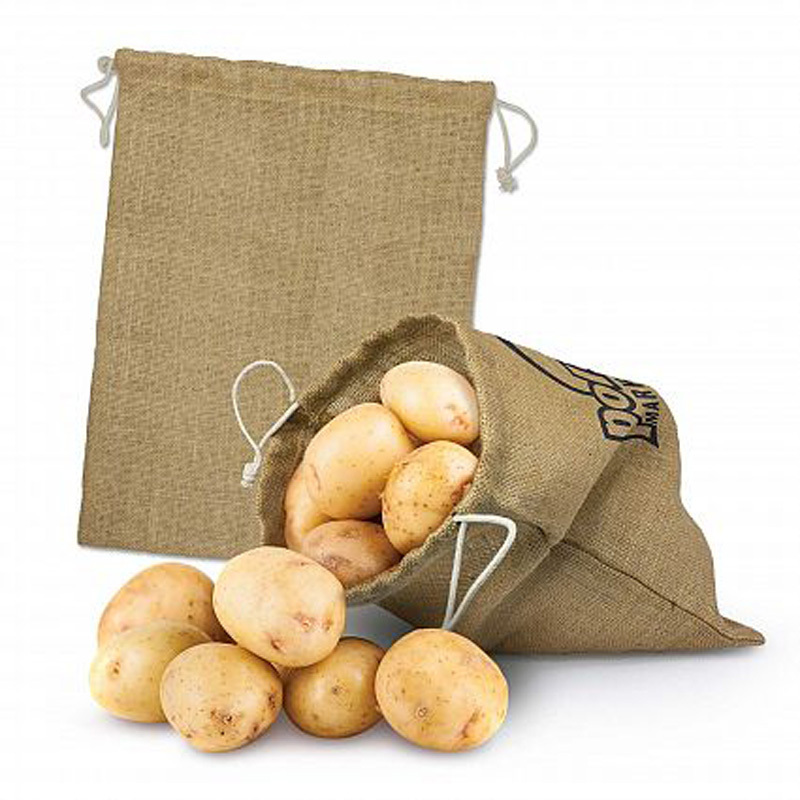 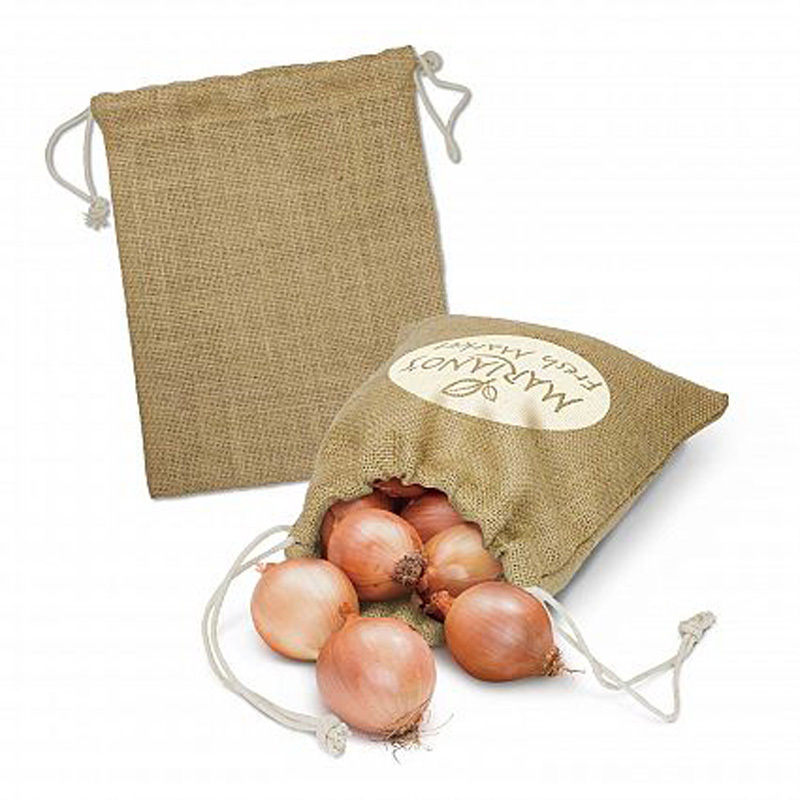 As well as being a naturally occurring and relatively sustainable material, the bags can be recycled when you no longer need them instead of thrown into landfill. 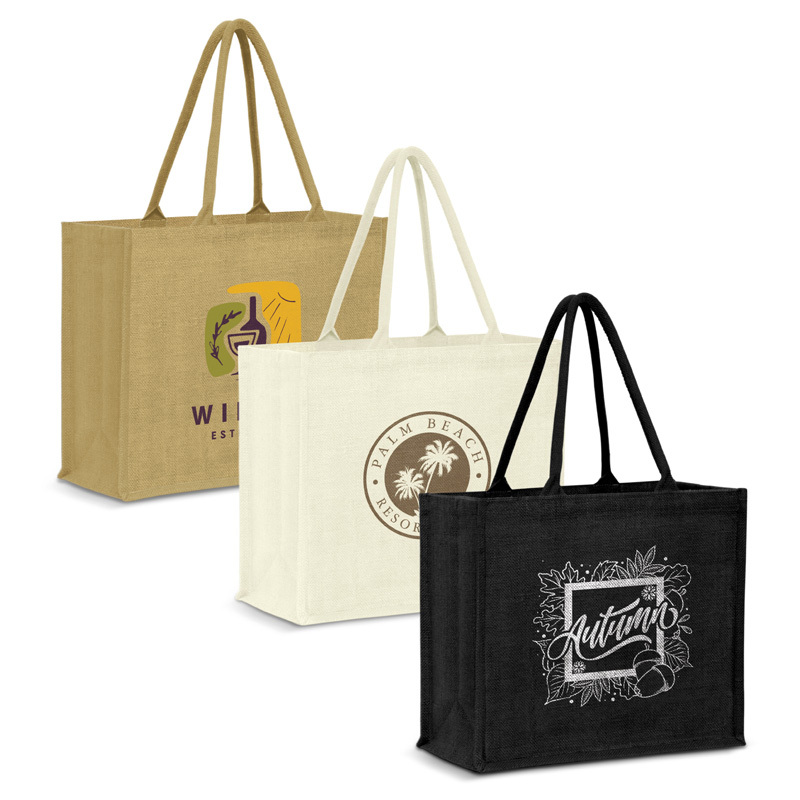 We have an extensive range of styles to choose from, including: drawstring backsacks, shoppers, totes, sling and wine carriers – take your pick and see this amazing fabric in action for yourself! 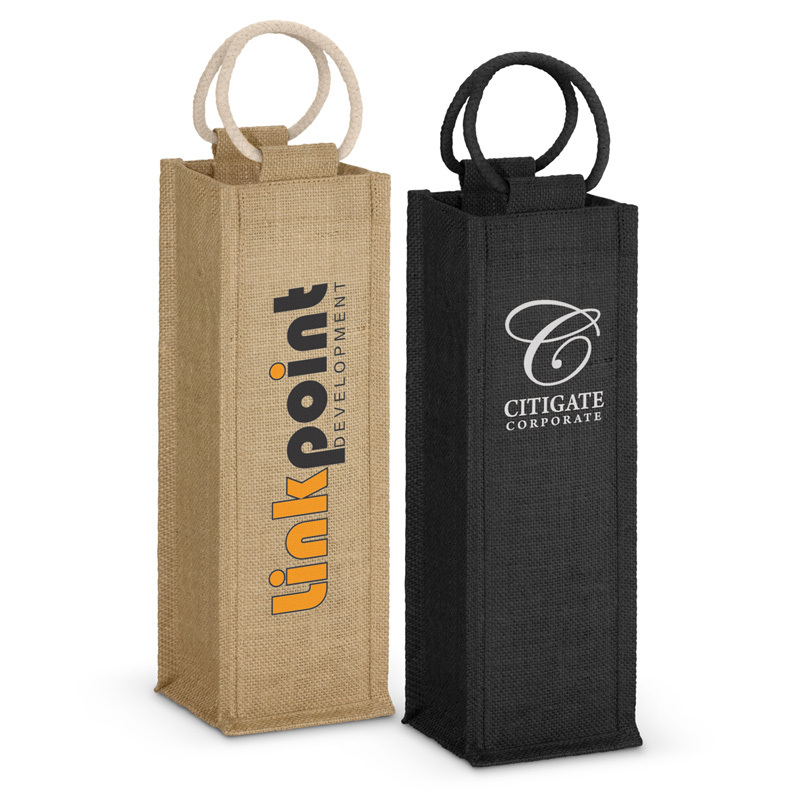 Some people are concerned that heavy or sharp items may tear through or even deform custom jute bags, but we’ve thought of this too! 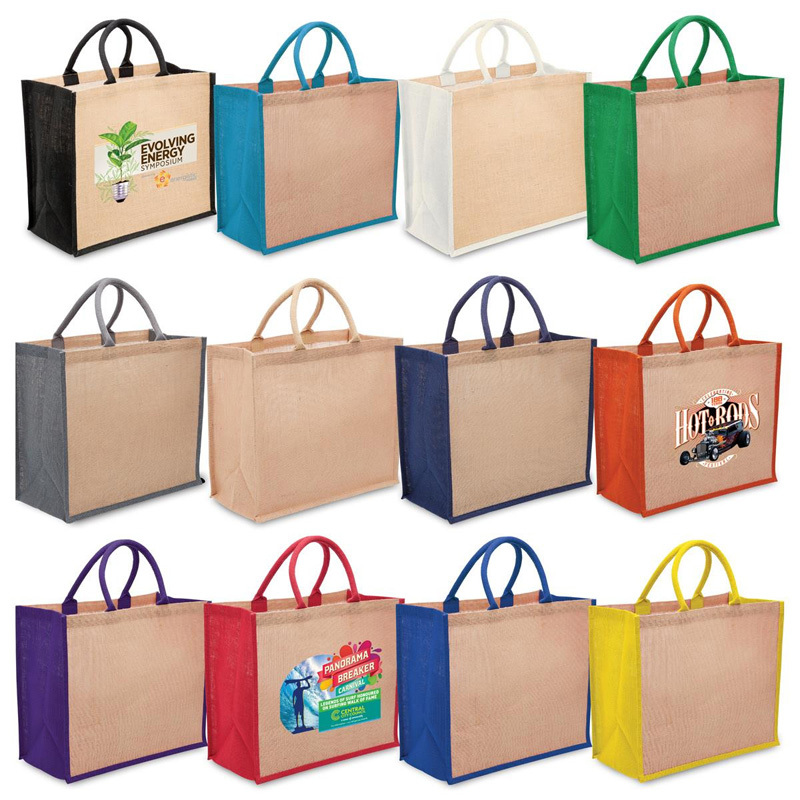 All bags are fitted with a laminated backing that helps to keep them in shape and prevents anything from being able to poke through the fibres. 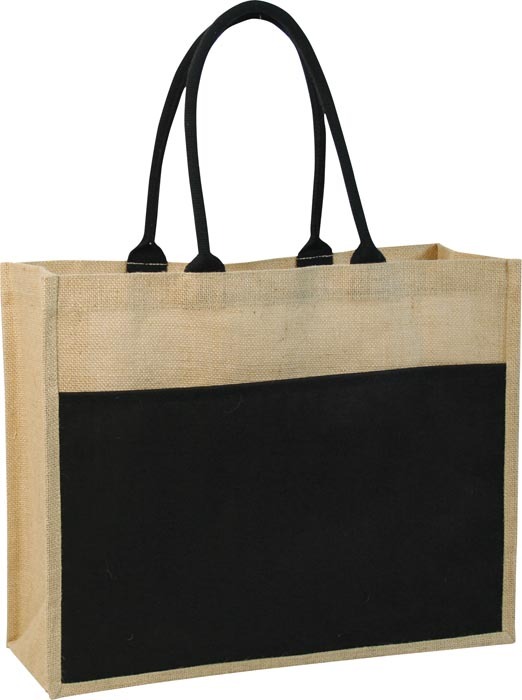 All that’s left to do is have your corporate logo or marketing message printed or embroidered onto the personalised jute bag and you’re good to go. 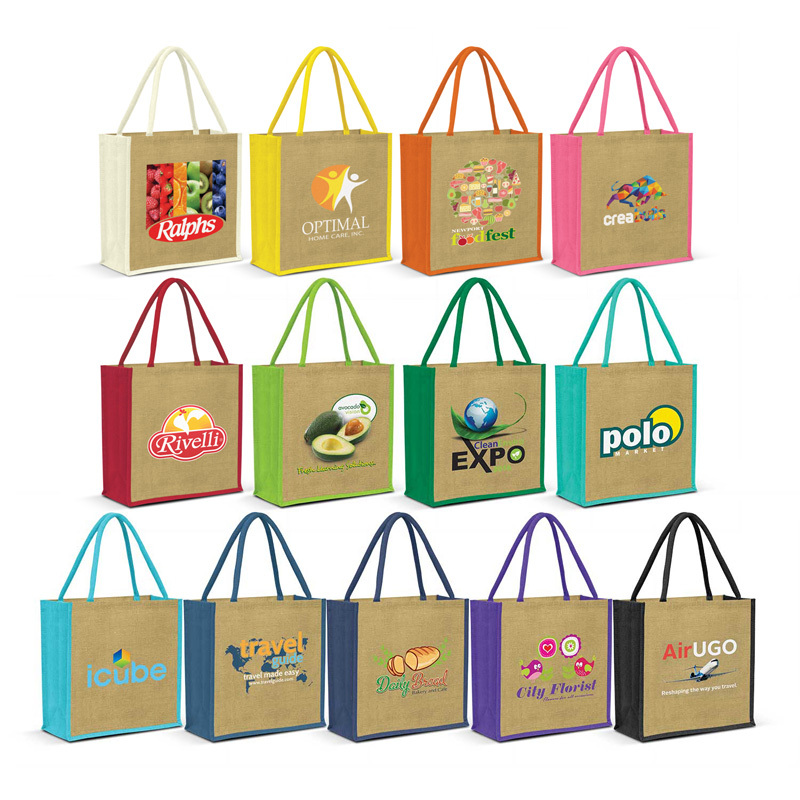 We have a wide variety of colours to choose from, ensuring that your brand can be matched with little difficulty.